Even though Earth day is officially April 22nd each year, I think it is something that we should observe everyday. 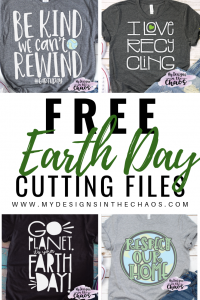 I have provided four free earth day SVG files for you to use with your Silhouette or Cricut cutting machine. These designs will hopefully bring awareness and smiles to those around you when you wear them. 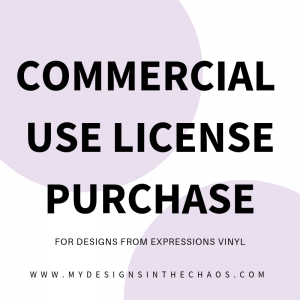 PLEASE NOTE THAT THERE ARE AFFILIATE LINKS IN THIS POST. CHECK OUT DISCLOSURE POLICY FOR MORE DETAILS. Scroll down to download your free Earth Day SVG files below. GO PLANET, IT’S YOUR EARTH DAY! Please take a moment and pin one of the images above before downloading your freebies below. Thanks! The files above are in zip folders. If you are downloading on your phone you will need to have an app to unzip the folder in order to access the SVG file. Thanks for being here and make sure to show off what you are creating here in our FB community. ‘Til next time happy crafting, cutting, and chaos!